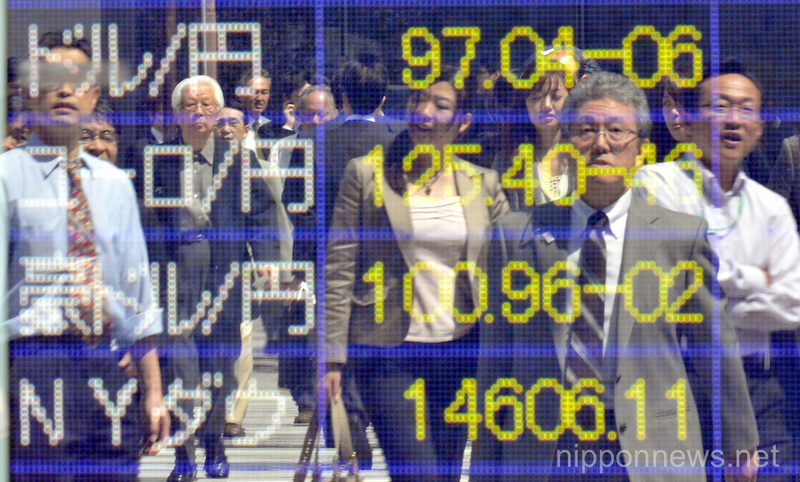 Tokyo, Japan – The 225-issue Nikkei Stock Average surges more than 4 points to hit the 13,000 mark for the first time since August 2008 in the morning session on the Tokyo Stock Exchange market on Friday, April 5, 2013. 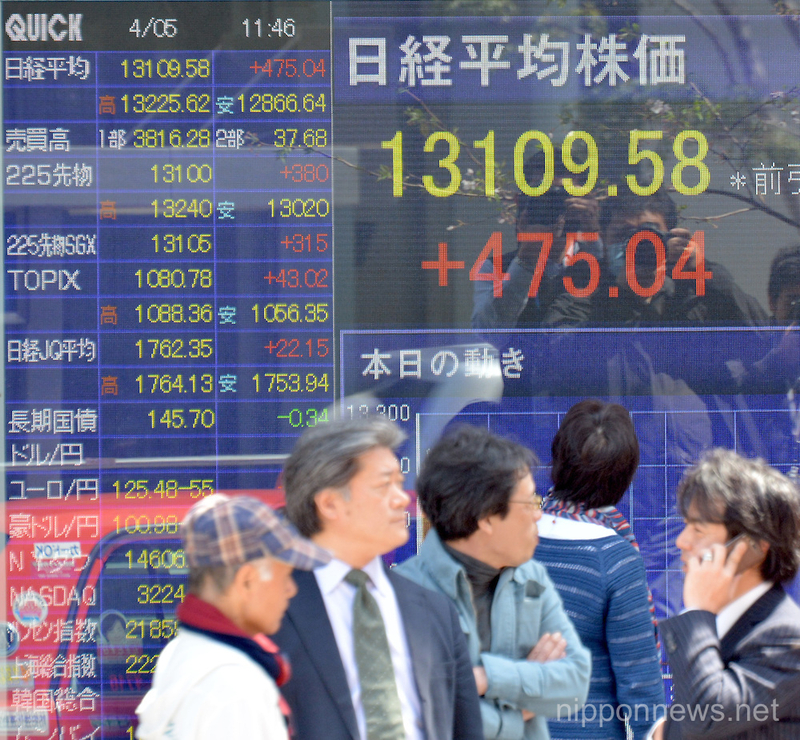 Propelled by the Bank of Japan’s decision to implement a set of bolder-than-anticipated monetary easing measures, the Nikkei index soared as high as 13,225.62. (Photo by Natsuki Sakai/AFLO).